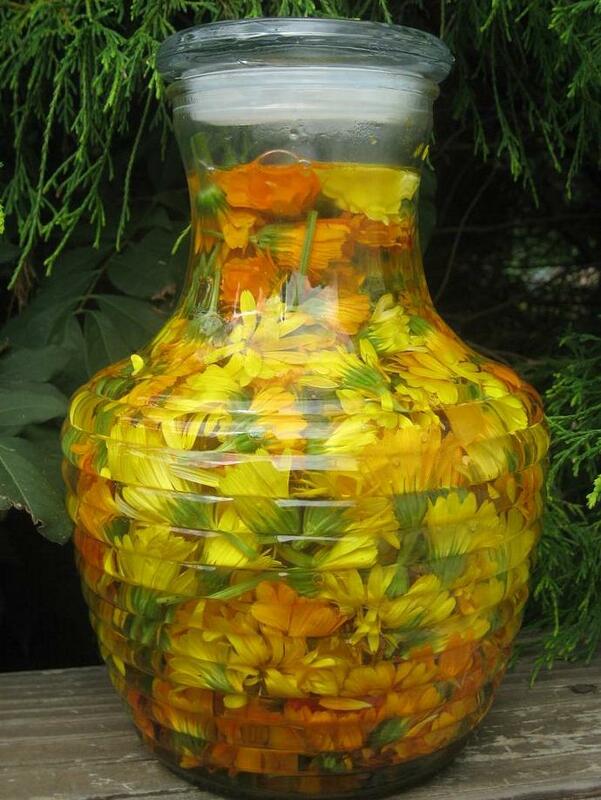 Calendula and Comfrey are both important contributors to nature's medicine chest. 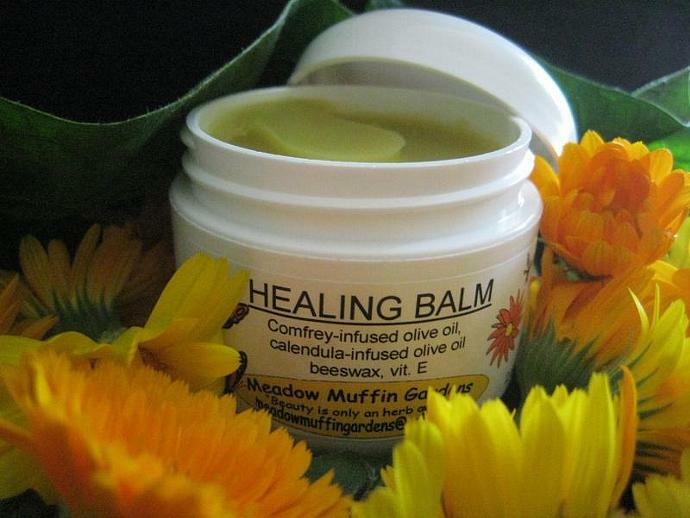 Whatever boo boo your loved one brings to you this balm can soon offer its services. Whether your loved one refers to humans or pets this salve is ideal to aid in the healing process with skin rashes and minor wound care. The challenge with using any salve on an animal is keeping it there long enough to do its job before being licked clean. This herbal balm contains nothing that would harm your pet if ingested. In ancient times, flowers that followed the sun by opening and closing according to the solar progression were called "brides of the sun". 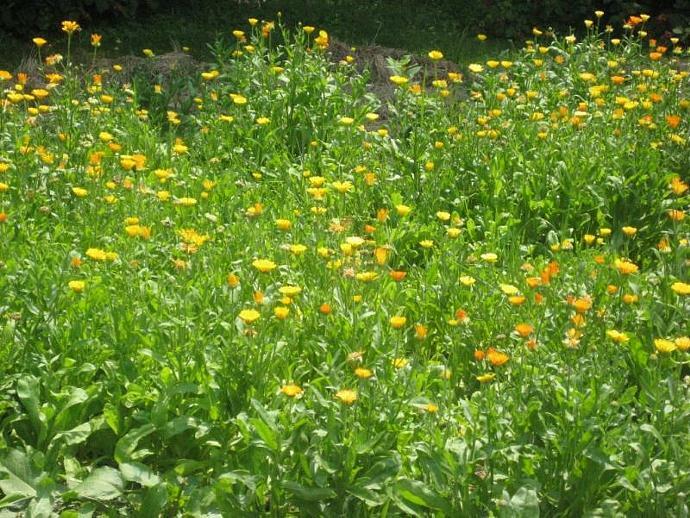 A member of the compositae family, Calendula was one of these sacred flowers symbolizing life and deliverance. Known as a wound herb, Calendula is an anti-inflammatory and helps prevent the formation of scar tissue. It is good for wounds that are healing poorly and soothing the rash of eczema. Stimulating to the body's lymphatic system, Calendula can also be applied to swollen lymph nodes. Calendula is a wonderful ally in treating your pet for not only wounds but to help clear up problems with eczema and hot spots. 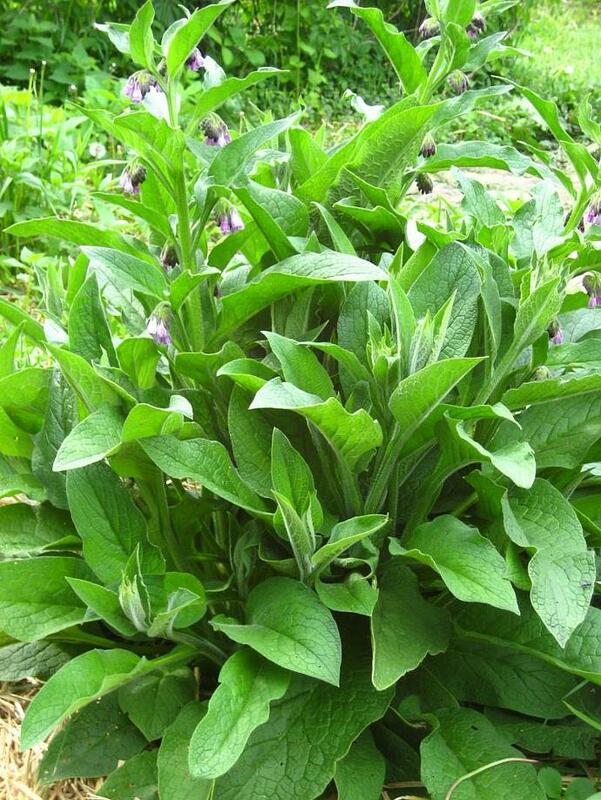 Comfrey has the reputation of being a living medicine chest. A member of the Borage family, this herb was known as the plant that can join back together what has come apart, be it broken bones or tissue repair. Bearing the sign of the planet Saturn, it stands for the joining, hardening energies. High in silicic acid Comfrey can reduce swelling, bruising and strengthen ligaments and tendons. Also known for its allantoin content, a crystalline oxidation product of uric acid, Comfrey stimulates and accelerates tissue repair. For this reason if using on deeper wounds apply on the second or third day of healing. The cell-proliferate action of the allantoin in comfrey may cause the skin to close too quickly, causing the outer skin to heal before the inner wound is ready. Wounds need to heal from the inside out. Wash and disinfect the wounded area before applying a salve. Cover with a bandage to keep clean. Balm comes in a 2 oz. jar. According to MayoClinic.com, Psoriasis is a skin condition that affects the life cycle of skin cells. As a result, skin cells build up rapidly and form thick crusty patches. These patches can be unsightly and can be itchy and irritating to the sufferer. According to OrganicFacts.net, psoriasis can be helped by taking cod liver oil. It is believed by the medical community that EPA (eicosapentaenoic acid), which is an omega-3 fatty acid present in fish oil, restricts the growth of inflammatory-inducing agents that can cause psoriasis. Applying fish oil topically can help to relieve this skin condition. According to MayoClinic.com, dermatitis is a skin condition that is marked by inflammation of the skin. 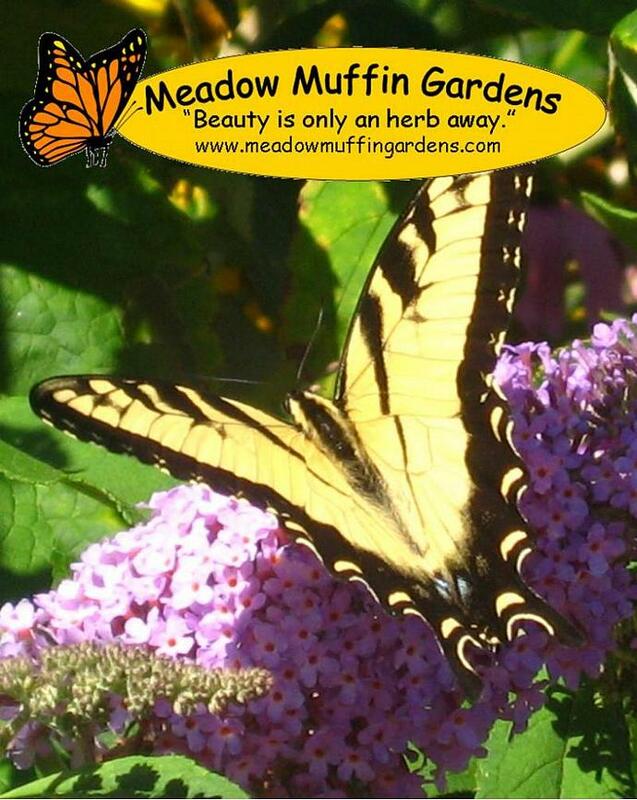 It can include different types such as sebhorrheic dermatitis and atopic dermatitis or eczema. It causes red swollen and itchy skin to develop. Dermatitis can be controlled and treated by using omega-3 fatty acids such as cod liver oil. According to MayoClinic.com, cod liver oil contains anti-inflammatory properties that can improve skin rashes such as dermatitis. Applying cod liver oil directly to the rash or simply taking a supplement as directed by your physician or dermatologist may help to improve this irritating skin condition.